Johnson Arabia LLC is expanding its fleet and service offering with the new Terex AC 350/6 all terrain crane, the most compact 6-axle all terrain crane in the 350-tonne capacity class on the market. Based in Dubai, UAE, Johnson Arabia, the market leader in the region, offers cost-efficient lift engineering solutions for the petrochemical, civil engineering, construction, industrial, utilities, aviation and marine industries. 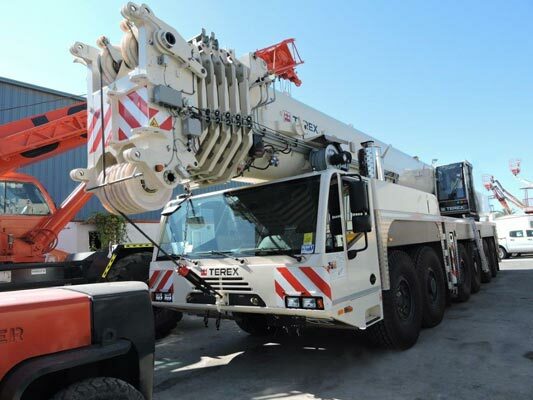 The new Terex all terrain crane will join a fleet of approximately 250 mobile cranes and provide the company even more versatility. The company’s new AC 350/6 crane features a patented luffing jib rigging system that provides fast, easy rigging with safety in mind. And with a maximum telescopic boom length of up to 64 meters for an impressively compact maximum system length of 125.7 meters, this powerful, 6-axle crane can out-lift larger cranes in the 400-tonne capacity class in a number of jobsite situations.